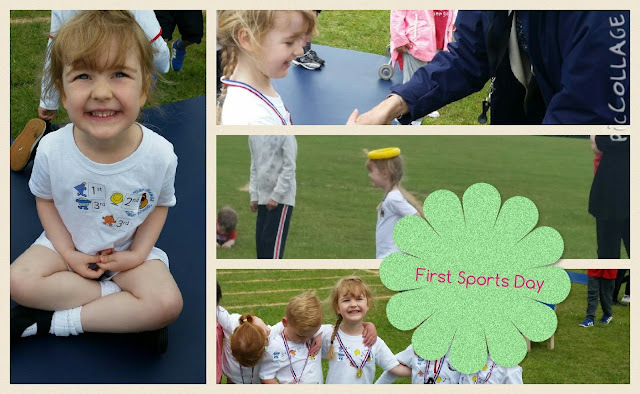 Last week Gracie had her first ever sports day. This is something I have looked forward to since before I ever had kids. I have always said I want to be the Mum that never misses a sports day or school play. It is such an exciting part of school life for kids especially when they do it for the first time. In fact we have been hearing about the practising for weeks now and being asked how long it is until sports day. It was so exciting sitting by the tracks waiting for the Nursery class to come out and start. Then seeing all their smiling faces bursting with excitement. The school did it in a lovely way too with them split into 3 groups so only 3 raced at one time so that they all got either 1st, 2nd or 3rd stickers and no one was left out. They did 4 different races in total; egg and spoon (beanbag and bat to make it easier), ring on the head, ball between the legs (a bunch of 4 year olds trying to run or bounce holding a ball between their legs was quite hilarious) and last but not least the sprint! Gracie's first race was the egg and spoon and she went for it and came first by miles! She had the biggest smile on her face when she went to go get her sticker and sit to watch her friends. Next was ring on the head which was really funny. So many of the children cheated slightly and held it on, not Gracie, she slowly walked along constantly dropping it and giggling before coming 3rd? Then was the ball between the legs, this was everyone's favourite and somehow Gracie came 2nd. Lastly, the sprint which Gracie had built us up for for weeks on end, telling us she was going to be as fast as The Flash himself. She was so overexcited seeing Daddy film her that she slowed down then stopped half way back to the finish line to wander off for a sticker! After they had all finished came the parent races. Thankfully I managed to escape that one but the same can't be said for Andy who we nominated for the Dad race! The kids were all presented with medals at the end by the Headteacher, Gracie is so proud of her medal. We then got to have a big picnic all together with all the parents, children and teachers which was lovely! Aww! 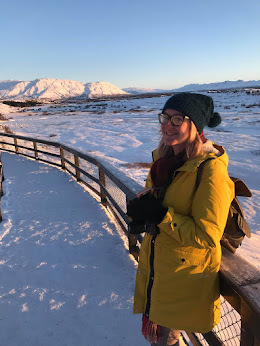 Well done Gracie! It sounds like you and her really enjoyed it.